MOTIVATED SELLER!!! 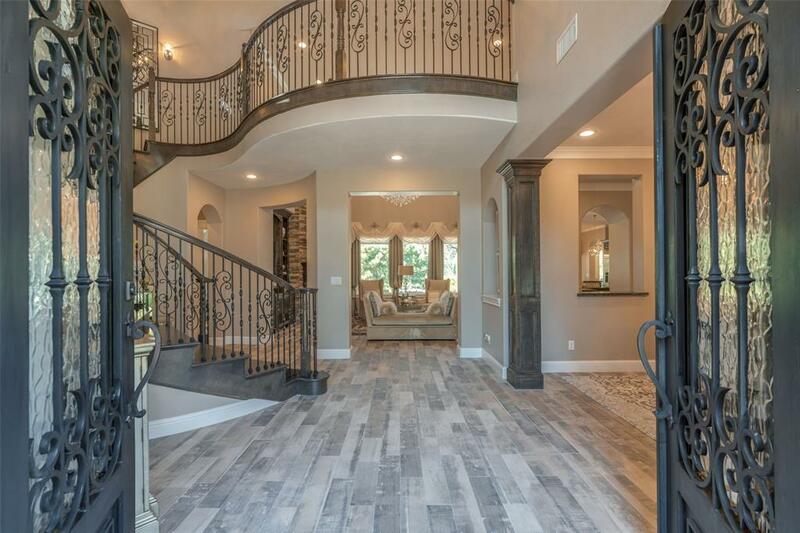 STUNNING custom home in Montgomery Trace. It starts with the wood plank stamped concrete circle driveway & premier landscaping. Home opens up w/gorgeous iron & glass front doors. Beautiful upgrades & high-end details throughout the home. Open concept living area which features 20ft ceiling,custom built-in,stone gas fireplace & windows that show off the fabulous backyard & pool views. Open concept island kitchen w/breakfast bar,granite counters & high-end appliances. Spacious & luxurious master suite with his and her closets. A large study w/French doors located just as you walk up the stairs. Upstairs you'll find 3 additional spacious guest bedrooms & a media room with surround sound. Oversized 3 car garage. Relax or entertain in your own backyard oasis,highlighted by a summer kitchen,gas log fireplace, custom gas fire pit, spa & breathtaking infinity saltwater pool w/slide. Generac 22KW generator! The list of features are endless! Schedule a showing today!